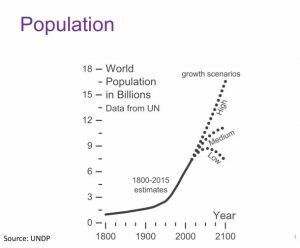 In this post Patricia Lustig explores the first of 12 Megatrends (Population) that feature in the forthcoming book Megatrends and How to Survive Them written by Patricia Lustig, Simplexity Associate andf MD of LASA Insight, & Gill Ringland, SAMI Emeritus Fellow and Director of Ethical Reading. Megatrends and How to Survive Them is the title of our book that is due to be published in October this year, by Cambridge Scholars Publishing. The book launch is on November 8th from 5 to 7 at the Reform Club in Pall Mall, London. Numbers are restricted but if you would like an invitation please let Patricia know. The views expressed are those of the authors and not necessarily of Simplexity.